It wasn't easy, and it took longer than expected, but South Pole skier Emma Kelty has finally reached her goal. The British adventurer skied the last 12.5 nautical miles (23 km/14.3 miles) yesterday, capping a 700+ mile (1126 km) journey that began back in November. Over that period of time she has traveled with a teammate who came and went, and two different guides, but her focus, determination, and persistence eventually paid off. Congratulations to Emma on a job well done. She'll now hop a flight back to Union Glacier before proceed to Punta Arenas, and then home. 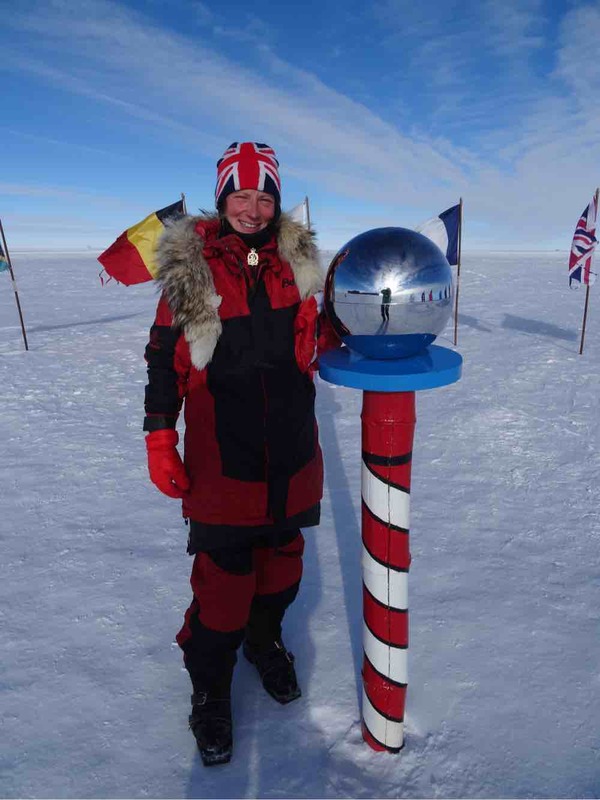 I'd been saying for a couple of weeks now that her arrival at the Pole would pretty much drop the curtain on the current Antarctic season but as we learned a few days ago, there is yet one more expedition to come. Australian Charles Werb will set out from Brisbane tomorrow on his way to Cape Town, where he'll have a brief stop over before leaving for Novo Station. His plan is to drive part of the way to the South Pole, and then use a specially designed sled with a sail to propel him the final leg of the trip. It should only take him about 7-14 days to make the journey, and if everything goes as expected, he'll get underway on Sunday of this week. It has certainly been a very long, and at times eventful, season in the Antarctic. Of course, it will mostly be remembered for the tragic death of Henry Worsley, who succumbed to illness that he picked up on his long journey. He will not soon be forgotten. I'll be keeping an eye on Charles' progress over the next few weeks as well. While not quite as long and grueling as some of the others we've followed this year, it should be interesting nonetheless. Off to Utah, No Updates on Monday! Video: What Are Africa's Big 5? Free Car Payment Insurance: What's The Catch?